2010 was an interesting year for tech toys and gadgets. We share with you our most exciting or interesting new items introduced in 2010. To make the list only one criteria had to be met. It had to make us say, “Wow! That is so cool!” as we reach for our wallets. We count down our most exciting new gadgets for this past year. The Glif was introduced to the world as a Kickstarter project from Studio Neat, a pair of creative guys who like the iPhone 4, but really like it’s camera and screen. They wanted to devise a way to hook their iPhone up to a tripod so they could do a little high quality video and image capture. And the result was The Glif. The reason we got so excited is we agree that the camera on the iPhone is truly great. Being able to carry around this little mount along with our iPhone and a small tripod we can now use the iPhone to do HD quality videos of some of the products we review, family photos, and pretty nature shots. Sure you wouldn’t use it for serious professional image capture. Or would you? The camera is not that good, but it is good enough for many of our simple needs and the glif makes a small HD camera or point-and-shoot still camera unnecessary. In addition to hooking the iPhone 4 up to a tripod, you can use it as a stand so you can watch video or show off pictures at your desk or on a plane. If you use Facetime, this would be a great tool for holding the iPhone 4 on your desk. Tablets are taking over and digital book readers are now becoming mainstream devices. When people who need help loading pictures on the digital photo frame, begin buying a Kindle, then you know the era of digital books is here. The reason we chose the Nook Color as our ninth most exciting new tech toy of 2010 is more about what it might do in the future than what it does now. We are taking a leap of faith by selecting this one. 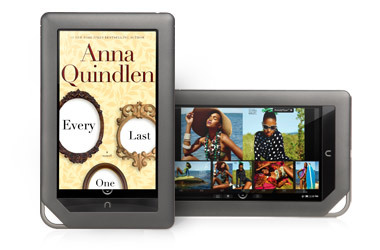 The Nook Color is an eBook reader that has a bright and beautiful color screen. It runs an older version of the Android operating system from Google. And that makes it an Android tablet. There has been talk that sometime in early 2011 it will be updated to Android 2.2 AKA FroYo. It does not have the Android Market Place and likely won’t then either. But with an SD card this little 7″ color tablet can be rooted and forced to run Android apps once that update comes. As a result, not only might it read eBooks and do a little web surfing (which it can now), but it might also be able rooted and then Kindle books with Amazon’s app, play Angry Birds and so much more. We haven’t even told you the exciting part yet. This thing only costs $250. To root it you will need a 64GB microSD card which can add another $175. But that’s not bad for a 7″ tablet running Android 2.2 with apps. 4G is the next iteration of wireless broadband. It is exciting because it is fast. Sadly it is also not available in much of the country, but should be more widely available in 2011 and nearly everywhere that 3G is available now by the end of 2012. 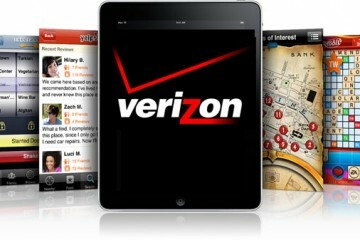 Verizon’s 4G technology is called LTE and is mostly available in bigger markets with NFL teams. The rest of us will have to wait for a year or two. But it is so fast, that a recent test found that the network would let you download your 5GB limit in about half an hour. They should be offering phones from Motorola and Samsung according to a report cited by our colleagues at Gottabemobile.com. Sprint started this party with WiMax. They claim that, with 4G, downloads will be up to 10 times faster than 3G. Their 4G is an “all you can stream, browse, email, chat, watch and game” network. So there won’t be the typical 5GB limit. The two interesting devices they offer are the HTC EVO 4G and the Overdrive 3G/4G Mobile Hotspot. The second one is like the MiFi – a wireless broadband router that can connect up to five devices to the Internet. 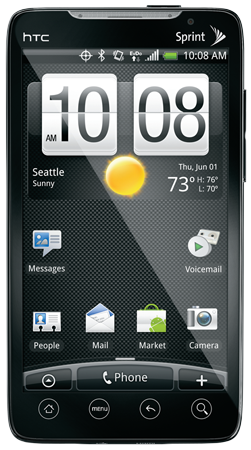 We have more on the HTC below since it is our #7 most exciting new gadget for 2010. 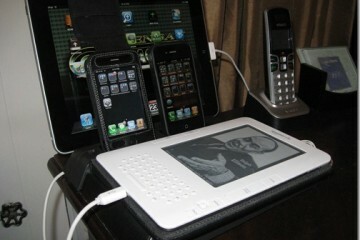 AT&T is getting in on the 4G game too but won’t be leaping with both feet until 2011. They just bought some spectrum from Qualcomm to do just that. This beautiful wonder is now showing up at Best Buy, according to Nguyen. The first Roku actualy came out before 2010, but we’re cheating by putting the most recent update on the list because it is just awesome. If you are a Netflix customer, like to rent movies from Amazon or watch podcasts from Twit or Revision3, you will love the Roku XDS. With the addition of the Playon TV channel you can add dozens of other Internet streaming channels including some of the networks not available anywhere else but via a computer. And now there is also access to hulu PLUS. 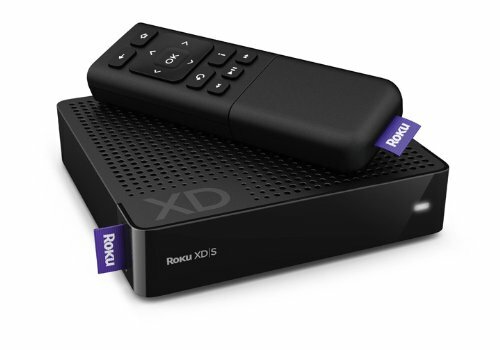 The Roku XDS does wireless and Ethernet connectivity, HD signals via an HDMI port, streaming from a USB hard drive or flash drive, and has lots of content, including Blip.tv and Pandora. The remote is better than previous version now with more features, like a back button and a 30 second instant rewind button. Yet even with all the improvements it is still simple to set up and use. We had it hooked up and running within about 15 minutes. Of all the streaming to a TV Internet devices, Roku is the best. It is better than the AppleTV, Western Digital’s WDTV, Google TV and probably Boxee Box, although we haven’t tested that one. The Roku comes in three different versions. The simple HD box is only $59.99 while the XD is $79.99 and the XDS is $99.99. The XDS can be purchased from Amazon for a slight discount at $95.75. Apple had some public relations issues with the iPhone 4 from a strange and possibly criminal leak to Gizmodo to some issues with their new external antenna. 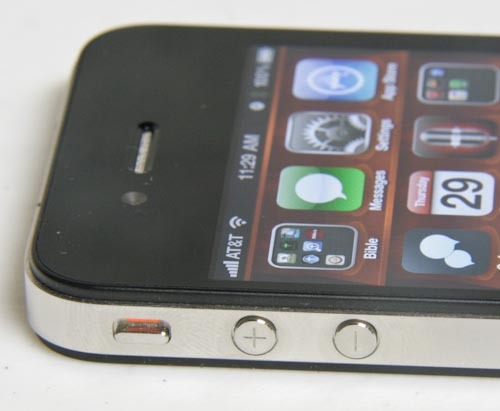 Despite all that, the iPhone 4 is one of the most popular consumer electronic devices of all time and still dominates the smart phone market. 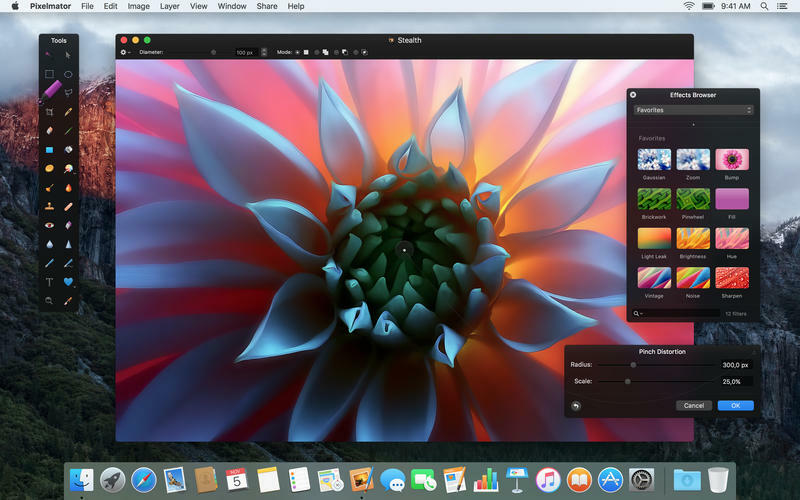 The addition of a front facing camera, the upgrade to the beautiful retina display, and the great HD camera that also takes great still images make this an exciting upgrade. 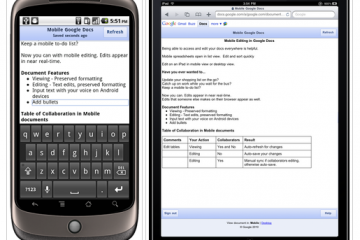 Now with multitasking and better email support, the phone is even easier to use as well. 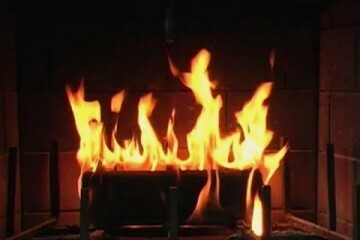 Below is a cool video showing off what you can do with the iPhone 4 video camera from Tested.com. A few of our writers are excited about the Microsoft Kinect and some of their family members will be enjoying it this holiday season. The Kinect is an add-0n for the popular Xbox 360 gaming system. The device sold 2.5 Million units in its first 25 days on the market including the Black Friday weekend. Taking a cue from the Nintendo Wii’s popularity Microsoft introduced the Kinect, a way of controlling the gaming system without the use of a controller. To kick a soccer ball just act like you are kicking. To run, start running. 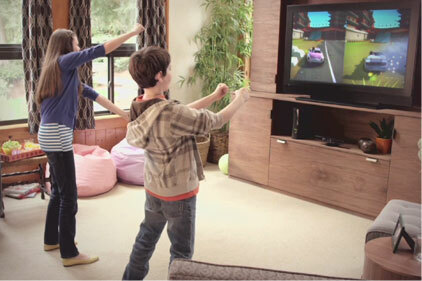 The Kinect has a camera that senses your movements and translates that into controlling the on screen action. What is truly exciting is not just the gaming uses, but the way it is being hacked it to do other things. We think that soon Microsoft will add 3D motion sensing into Windows so that we can control our computers without need of a mouse or sometimes keyboards. And report says Microsoft is going to dramatically improve the sensor soon. Bundled with an Xbox 360 and one game it costs $299. By itself it can be had for only $150. 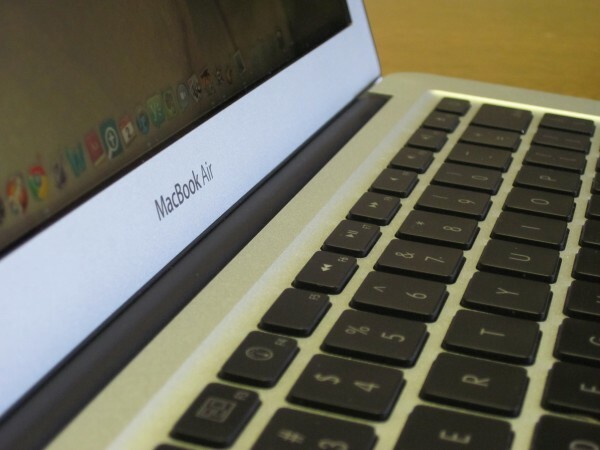 The Apple MacBook Air is the best ultra-mobile notebook we’ve ever used. In our review and our publisher’s review at our sister site, Gottabemobile.com, we had very little to say that was bad about this notebook. It is ultra light, ultra fast despite its ordinary specs, and we think it will be setting a trend for where notebook coputers will be going for years to come. Besides size and speed, it has a beautiful screen, a full keyboard, even on the 11″ model, and it has instant on capability if you use sleep mode instead of powering it down completely. The battery lasts a good four to five hours on full screen brightness and more when you dim the display and turn off wireless except when you have to have it. 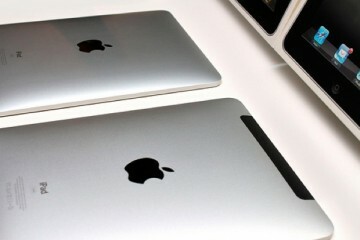 The MacBook Air is a little expensive starting at $999. And the strength – the fast SSD – is also a weakness due to small size. But it is worth the trade offs. Below is our video review. Apple doesn’t get all the love this year. 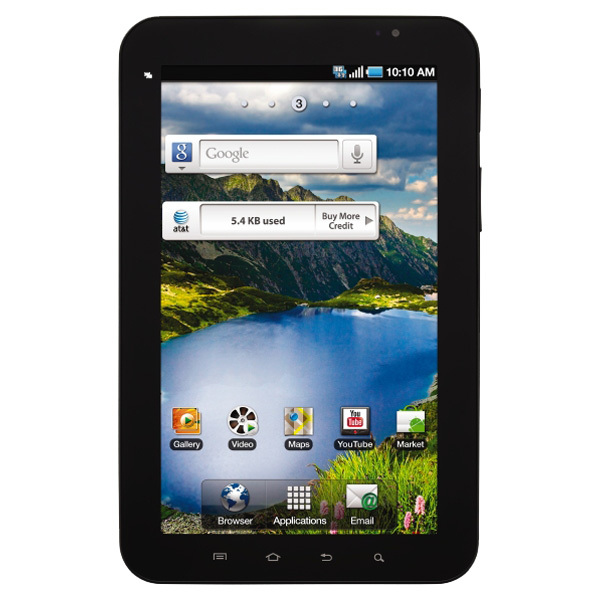 Samsung poked its way into our top three with their Android 2.2 tablet the Samsung Galaxy Tab. We’ve only had limited time with it, but this is a great little tablet running Google’s FroYo. It will only get better as Google makes their OS more tablet friendly. If only the wireless carriers had not disabled the ability to make calls with it, something possible in other countries. Smaller than the iPad, some say it has a better form factor with its 7″ display, making it easier to carry. The screen is bright and beautiful and with the Android Market Place it has plenty of great apps. There are also features the iPad doesn’t have like a camera and an SD card port. We are not excited about the way the wireless carriers are selling the device. 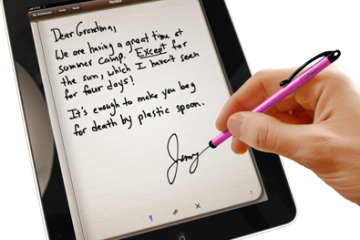 You can get it without a monthly contract but it is more expensive than the iPad. With a monthly contract it is only about $400 from a couple of carriers. Currently the Samsung Galaxy Tab is available through AT&T for $649.99 without a monthly contract, Sprint and T-Mobile for for $399.99 with a monthly contract and $599.99 without one, US Cellular for $599.99 without a contract, and Verizon for $599.99 with a contract. No other device has captured our attention like the Apple iPad. It has been a revolutionary device for many of us here at Notebooks.com. Sure, some are not using it as much as they expected. But large numbers of people are buying them and many more are longing to. The iPad is an iOS device just like the iPhone and iPod Touch. In fact the early criticism from many was, “It’s just a big iPod Touch!” And our answer is, “Of course.” But the difference is size makes all the difference in the world. The ability to read, surf the Internet, check email, watch TV or movies with apps like Netflix, hulu PLUS, the ABC TV app, and the built-in YouTube and Video player all make this a wonderful personal computer with the emphasis on the word personal. We’ve shared with you some wonderful iPad Apps in our iPad App of the Week series. Here are our top iPad Apps of the Year. And it is all about the apps, since that is what makes all the iOS devices great. In reviewing devices we sometimes give a product high praise after a few weeks of use and then realize we were too generous. But occasionally we don’t fully grasp how useful a product can be at the time of our review only to discover after months of use that it is better than we thought. The iPad is just that kind of device. We called it functional. But today we would probably say it is life-changing. It has been just that. It has changed the way we consume content at home, do our work on the job, and research both at home and work. 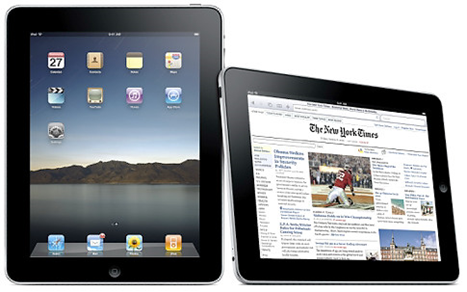 That’s why the Apple iPad is the most exciting new gadget of 2010. You know a product is going mainstream when it gets metioned in some popular media outlets. Below is David Letterman’s hilarious Top Ten Questions to Ask Yourself When Waiting In Line for the iPad. The Apple iPad comes in a Wi-Fi only version with three storage capacities (16GB for $499, 32GB for $599 and 64GB for $699) and a Wi-Fi plus 3G version using the AT&T network again in three storage capacies (16GB for $529, 32GB for $629 and 64GB for $729). There are pretty good discounts on refurbished models at the Apple refurbished products store.